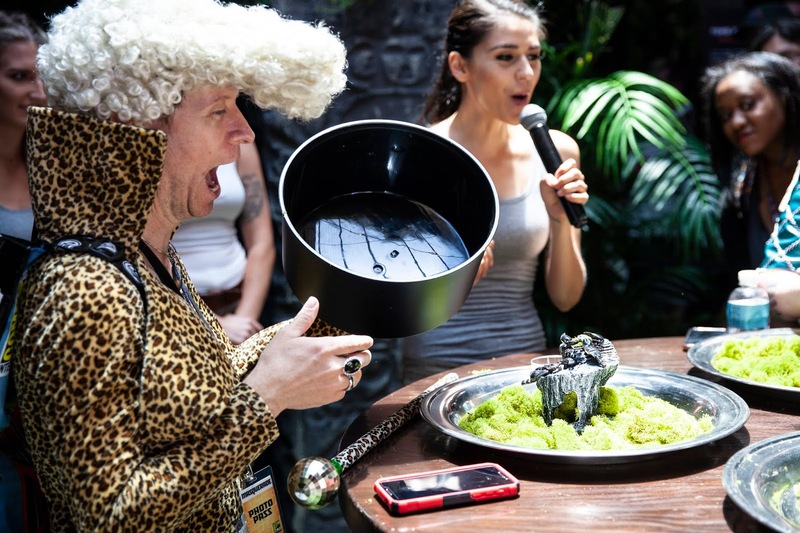 When Tomb Raider fans got their first chance to play the yet-to-be-released Shadow of the Tomb Raider at this year’s Comic-Con conference in San Diego, they had little company—a 14-foot-long anaconda at their back. 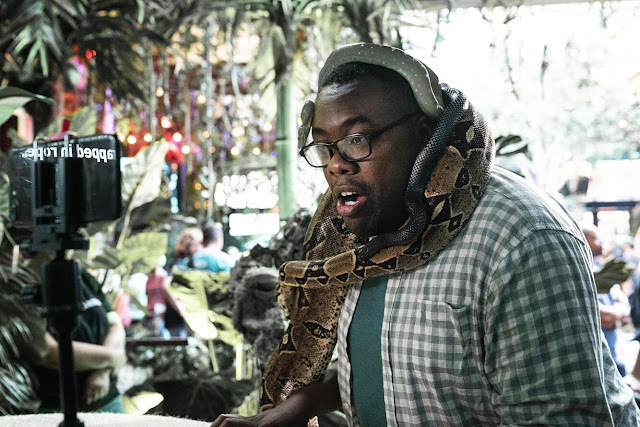 The survival experience from game publisher Square Enix, developed by creative agencies Barkley and JMP Creative, let gamers channel their inner Lara Croft and push their ophidiophobia—fear of snakes, to you and me—to the limit. 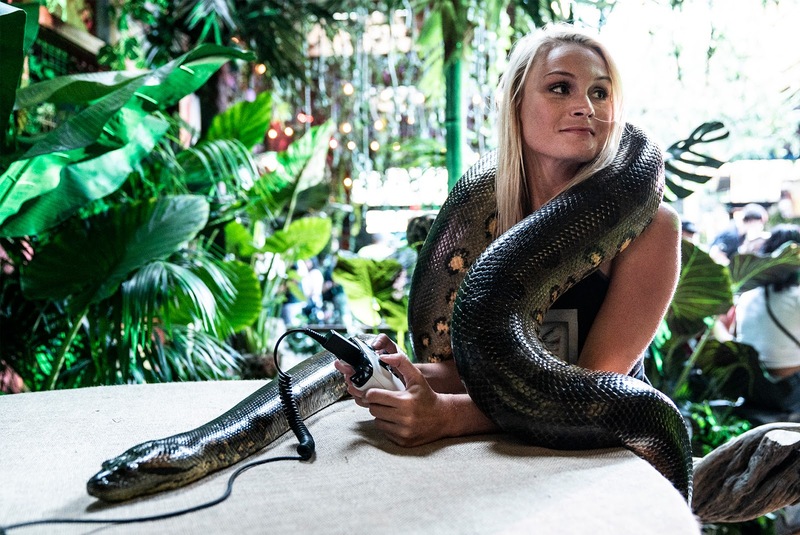 Gamers previewed Shadow of the Tomb Raider at one of the 13 playable game stations, but only the bravest souls were invited to play at the 13th game console–an enclosed area where they played surrounded by deadly boa constrictors and two 14-foot anacondas. 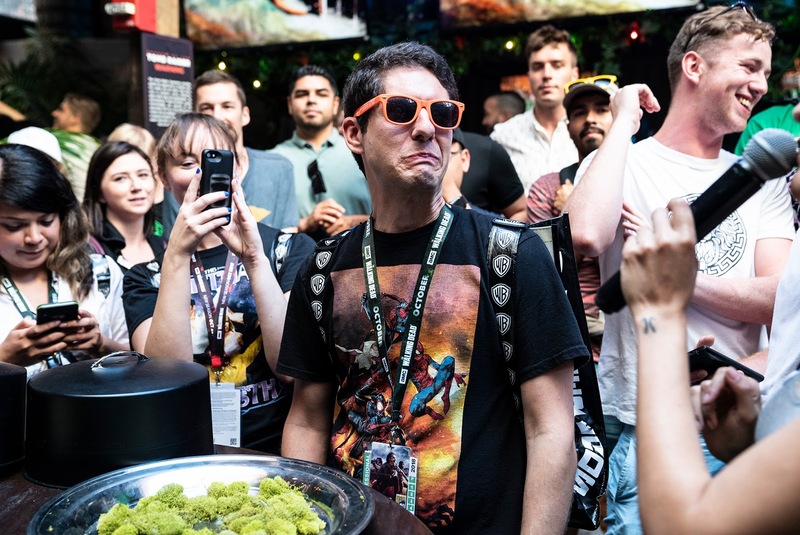 And unlike the omnipresent free swag handed out elsewhere at Comic Con, Tomb Raider fans had to summon up the courage to snack on exotic jungle creatures like giant water bugs, black forest scorpions, and superworms for the chance to win prizes ranging from t-shirts to Xbox One X Consoles. Shadow of the Tomb Raider launches September 14 and is the finale of Lara’s origin story and is the biggest release in the history of the franchise. “Given the size of this release, we owe our fans an equally epic experience at Comic-Con where we’ll show them firsthand what it’s like to become the Tomb Raider,” says Jon Grant, Associate Director, Product Marketing, Square Enix.